From old standbys to todays biggest titles, the Logitech Rumble Gamepad F510 is easy to set up and use with your favorite games. 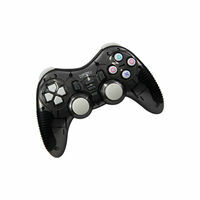 The D-pad rests on four switchesinstead of a single pivot pointmaking it responsive to quick changes in directions. 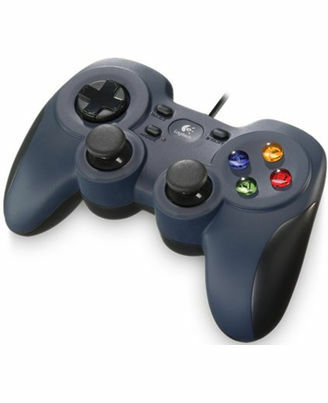 Broad game supportFrom old standbys to todays biggest titles, the Logitech Rumble Gamepad F510 is easy to set up and use with your favorite games. 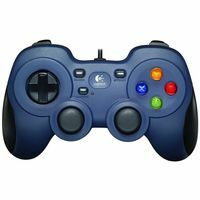 Profiler softwareFor games without native gamepad support, you can customize your experience with fully programmable controls that can emulate keyboard and mouse inputs. Familiar button layoutYou control the action. A familiar shape and button layout gets you in the game faster without having to relearn new gamepad settings. Floating D-padThe D-pad rests on four switchesinstead of a single pivot pointmaking it responsive to quick changes in directions. Rubber gripsSpecially textured rubber gives you a solid grip. Floating D-padThe D-pad rests on four switchesinstead of a single pivot pointmaking it responsive to quick changes in directions. Comfort gripYou can play longer with less effort. Go the distanceWith six feet of cable, you can lean back and play a comfortable distance from your PC monitor.Get you hands on some of the top selling Games in the market. Infibeam showcases the best Gaming Accessories at the most affordable prices.